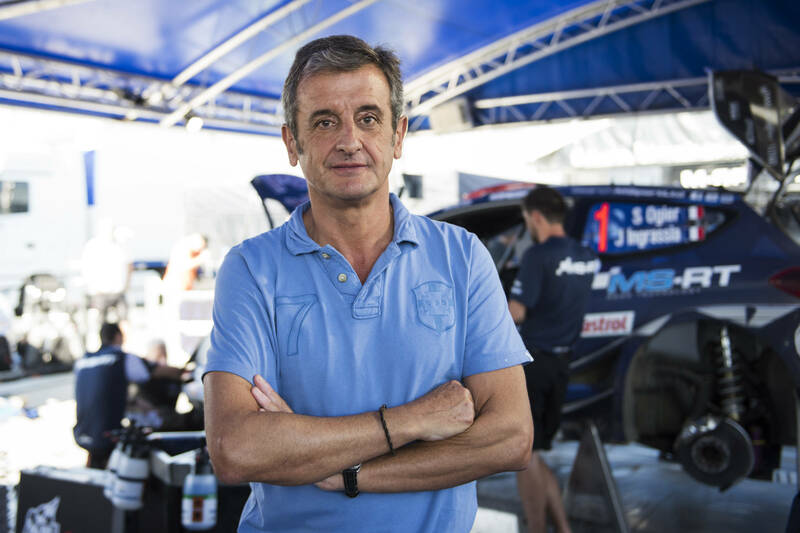 A chat with two-time WRC world champ Luis Moya after the Rally de España. 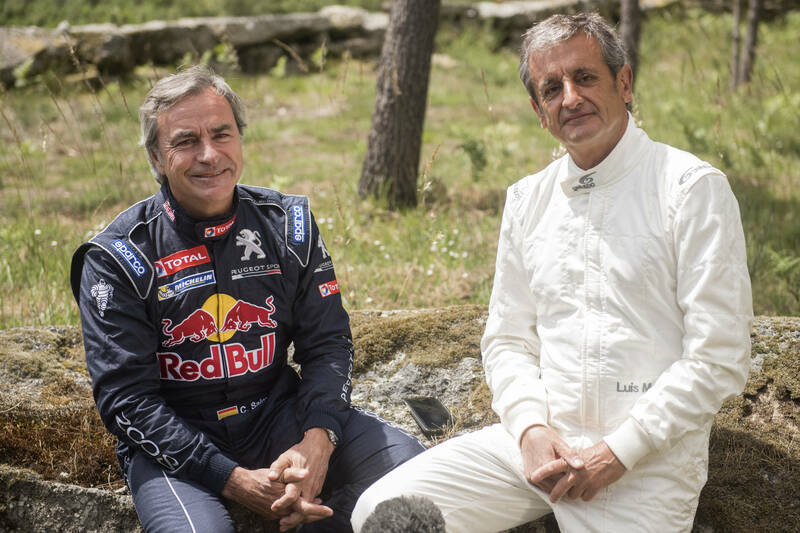 He was Carlos Sainz’ co-driver from 1988 to 2002, winning two world titles in the process. Now retired, the Spaniard paid the RallyRACC Catalunya – Rally de España a visit this weekend. He shares his thoughts here. I want to say “well done” to Kris Meeke and Paul Nagle on a really good victory! I had the chance to speak to Anders Jaeger, the co-driver of Andreas Mikkelsen, who has been in both the Citroen and Hyundai cars this year. According to him, the Hyundai works in a wider window but the Citroen is really good on asphalt. So I thought that for Kris, the day on gravel would probably be difficult – but he surprised me. He had a very good Friday and was fantastic over the rest of the weekend too. This will definitely help Kris’ confidence. Whenever you win a rally, you forget about everything that happened before. To have won here, on a mixed-surface event, means his motivation and his attitude heading to Wales Rally GB will be strong! If you look at Friday on the long stage, Terra Alta, for example, the first split was at eight kilometres. In the morning, he did a 4m38s and in the afternoon, he did a 4m30s. So he was eight seconds faster in the second loop: which translates into one second per kilometre faster when he was not cleaning the road. The other drivers were not able to do this. I think that to finish this stage only 1.4 seconds behind Meeke, who was starting 10th on the road, is incredible. That little example shows what he is capable of in terms of speed. 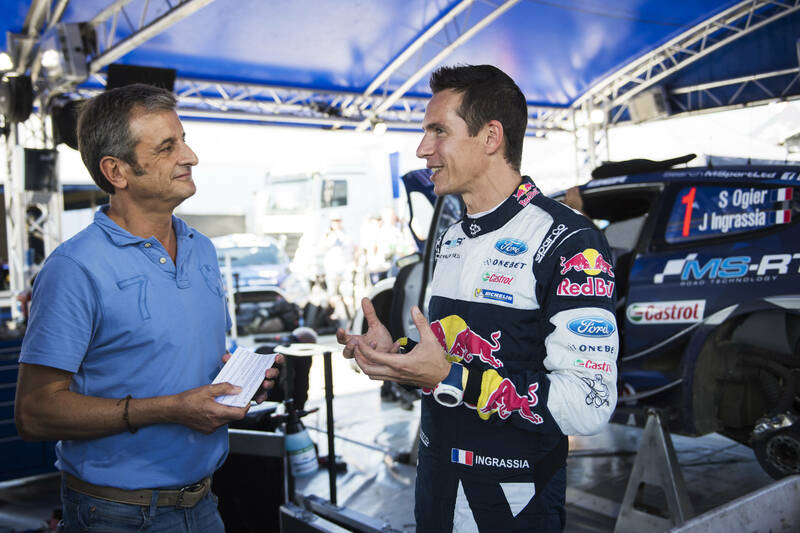 Ogier is also a good strategy driver: this is why he’s a four-time champion. He’s been winning stages but I’m sure, knowing him, that he’s not been on the limit all the time either. For him, it was more about keeping Thierry Neuville behind than winning the rally. I think Neuville was really unlucky though. He had an accident on a road section due to a mechanical failure – how unlucky is that? Then there was a problem with the hydraulics and the car wouldn’t start. Finally, he was out. We cannot blame him but it’s really unfortunate because he needed to be in front of Ogier to get some points back. It’s still possible for Neuville to win the championship though because in Australia, Ogier will be opening the road and that’s not easy. On Wales Rally GB, as I think I know better than anybody else after we lost the championship there in 1998, anything can happen. But, of course, with a big gap, it will be difficult for Neuville now. 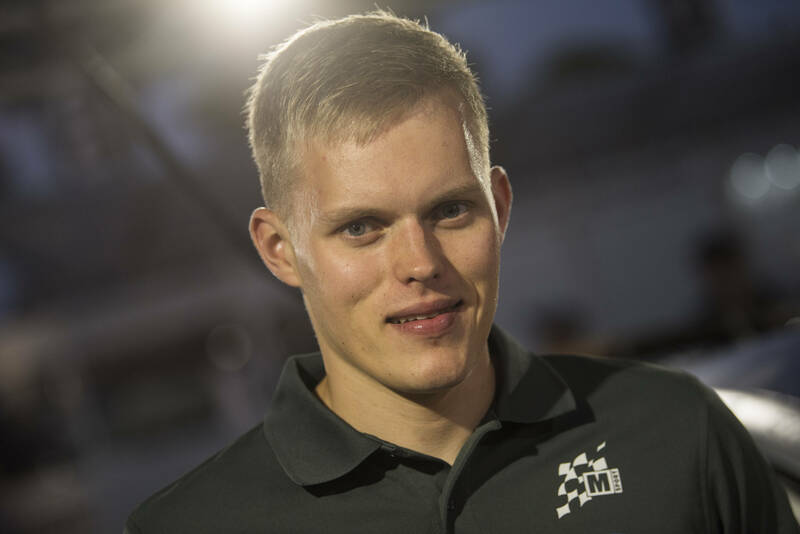 Ott Tanak has been right with his teammate Ogier this weekend. Tanak surprised me in Germany because I would not have picked him as a winner there, even though I knew he was competitive on asphalt. He showed he was competitive in Germany and he has shown it here as well. Toyota has proven this weekend that it has a strong car on asphalt, but Jari-Matti Latvala has been very unlucky again. If he had not retired in Finland when he was leading, he could have come here in a good position to win the championship. But he couldn’t finish here either, which is a pity. It’s good to see that Toyota have managed to make a competitive car but now they have to make it reliable too. Andreas Mikkelsen and Dani Sordo also hit trouble – or the same rock, to be precise. 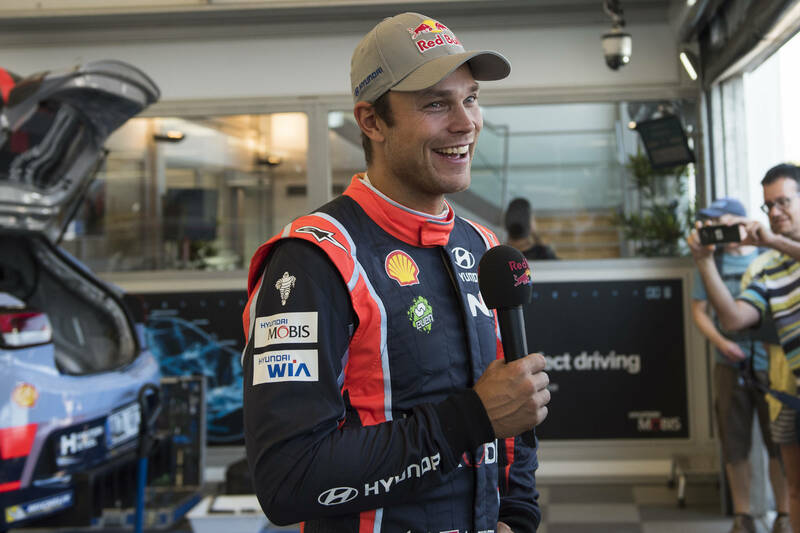 Mikkelsen’s drive on Friday was very impressive because he has only just joined Hyundai before this event, and he did just one day of gravel testing and two days on asphalt. He already said on Friday that it was going to be difficult on Saturday because on asphalt, the limit is harder to find. And so it proved to be. Obviously, he had an accident but he showed that Hyundai made the right choice for the future. I think they have a very strong team for next year. I have mixed feelings about what happened to Dani Sordo – sad in a way, but maybe not. If I had been his co-driver, I would have said to him on this rally: “Dani, we have two options here. Either we win or we crash”. Nothing in between. Because I wouldn’t like him to have finished second in Spain again, which he has done so many times. This entry was posted in Global News, Highlights, Interviews, Motorsports, WRC by admin. Bookmark the permalink.